There is a warm hug where you are A shoulder I can lean on Tenderness, Warmth, Smile, Happiness In short, where you are there is Everything I can dream of. When my heart calls you And in my imagination, I am holding you I want to hug you forever When I have that special moment with you, My love begins to flourish & when my body touches you. Dekha Hai Jab Se Tumko,Mera Dil Nahi Hai Kabu-main Jee Chahe Aaj Tod Doon Duniya Ki Saari Rus-mein Tera Haath Chahta Hoon, Tera Saath Chahta Hoon Baahon Mein Teri Rehna Main Din Raat Chahta Hoon!! 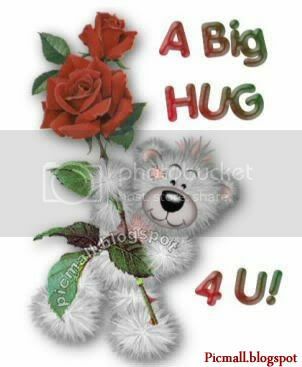 You Cant Wrap Love In A Box, But you Can Wrap A Person In A Hug. 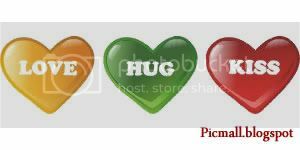 A Hug Charms, Warms And Makes Everyone Happy!!! That Must Be Why God Gave Us Arms. Do you know There is one gift which canot be given without taking it back That is why I give you hug which canot be giving without taking it back.